I am interested in discovering inherent properties of the materials I work with and highlighting these qualities through unexpected interactions. This series resulted from a fascination with rust and rusting. To quote John Ruskin, “It is not a fault in the iron, but a virtue, to be so fond of getting rusted.” Through the oxidization process iron loses its traditional connotations of strength, durability, and functionality, becoming ephemeral and unpredictable. Combining this corrosion with natural fibers allows the rust to leave its mark: the stain becomes a permanent indication of a transitory process. My background in craft media has instilled in me a certain desire for lasting “heirloom” quality work, yet my interest in science and nature has taught me that nothing lasts, nothing is permanent. 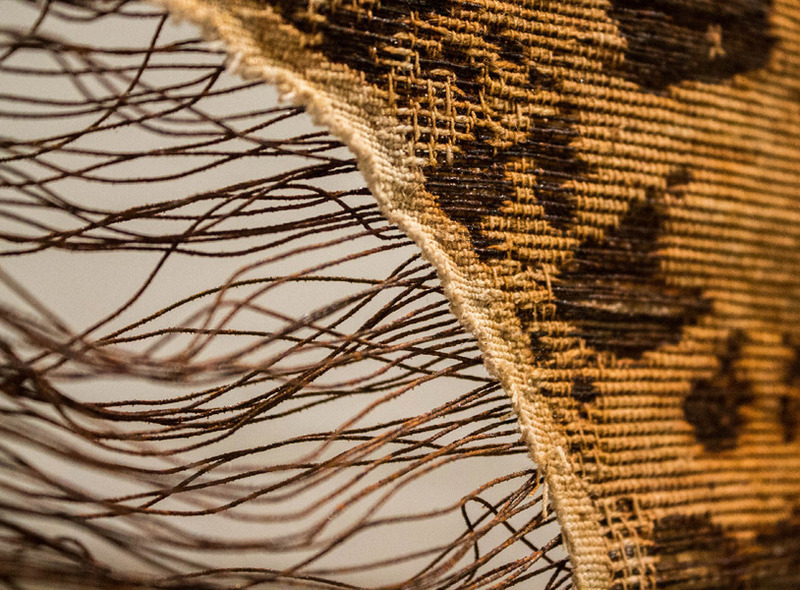 This is made especially clear through my work in textiles, which by their nature are intricate, additive constructions that are time consuming to produce yet highly susceptible to decay. 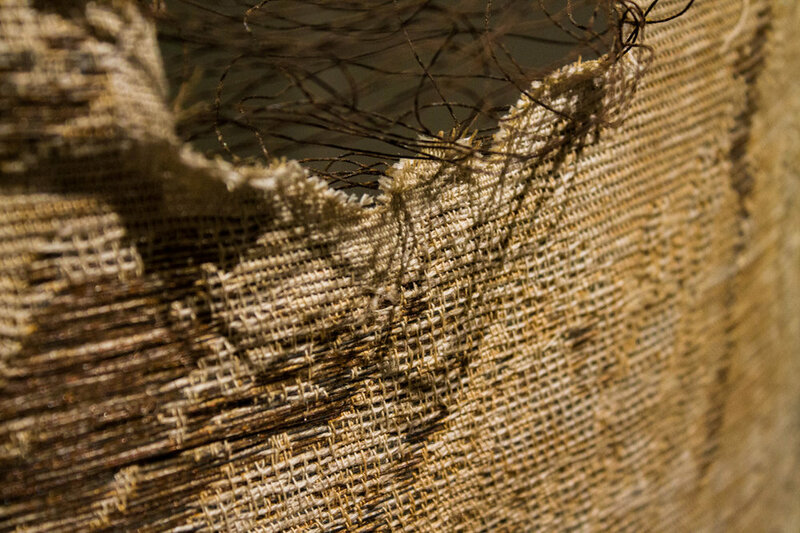 Using a variety of complex and layered weave structures I am able to create different levels of interaction between iron wire and cotton thread, giving me control over the initial construction and providing a blueprint for the decay process. The grid of woven cloth imposes high level of order on the panels, which acts to make their descent into decay and chaos­­ more poignant. As rust appears on the surface of the weavings and eventually falls away in a fine dust, the sense of nature’s power to overcome and degrade is made tangible.